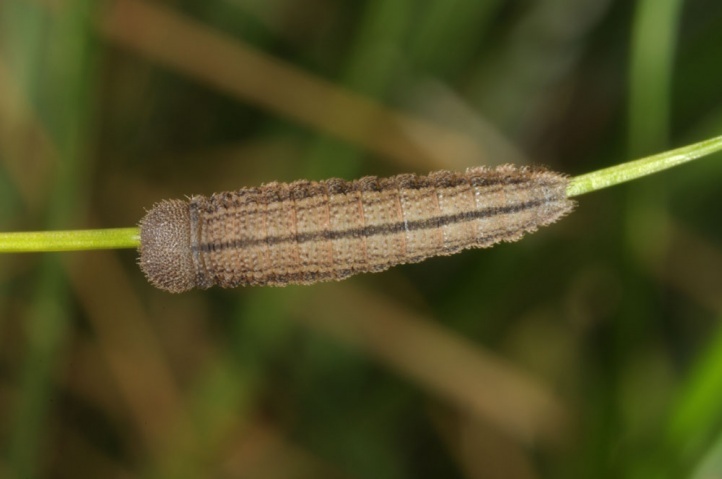 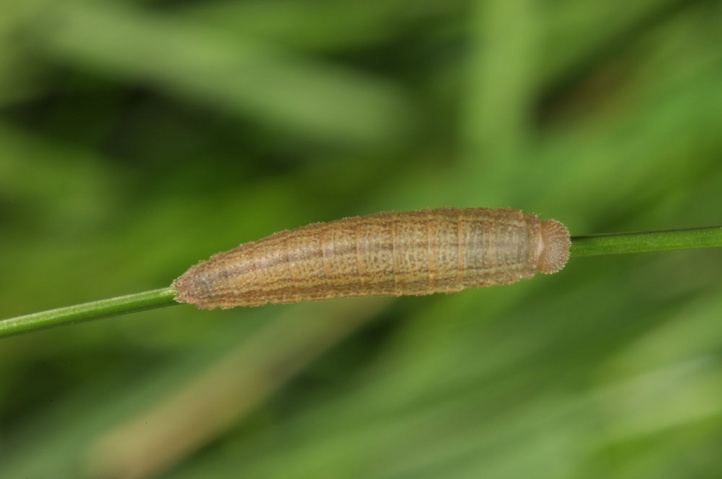 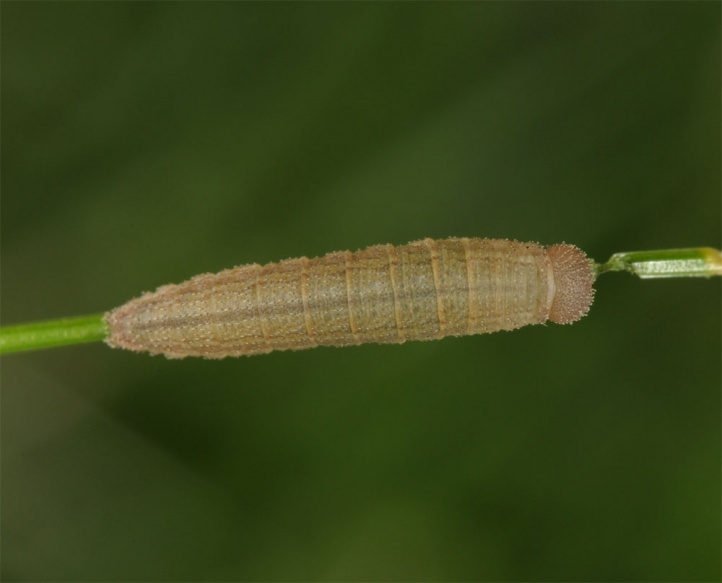 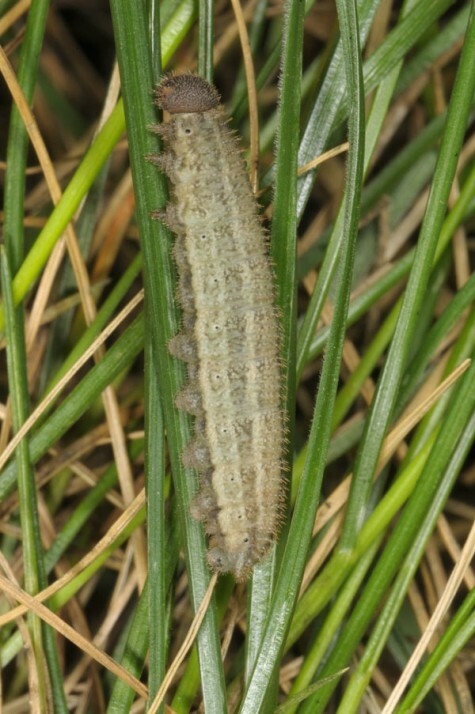 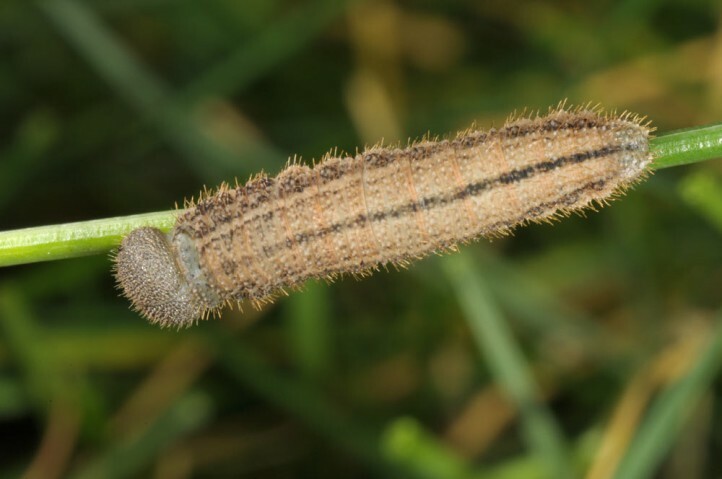 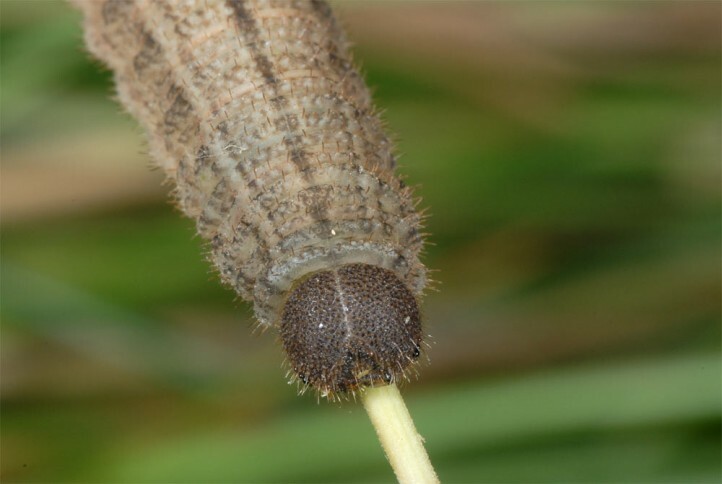 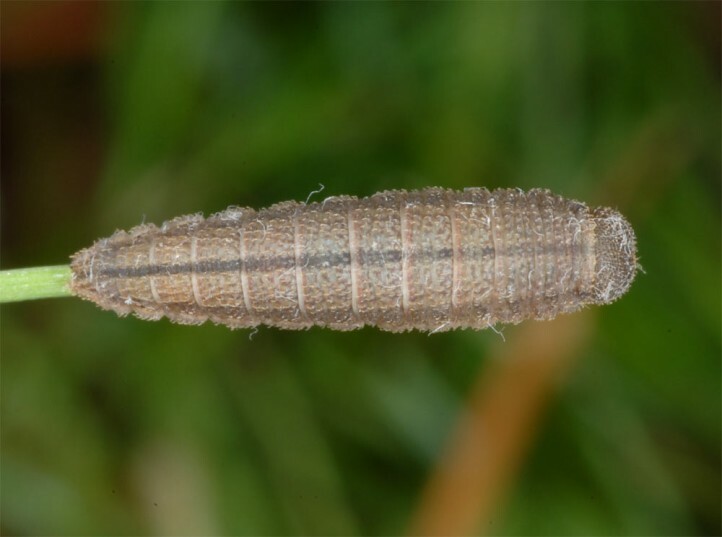 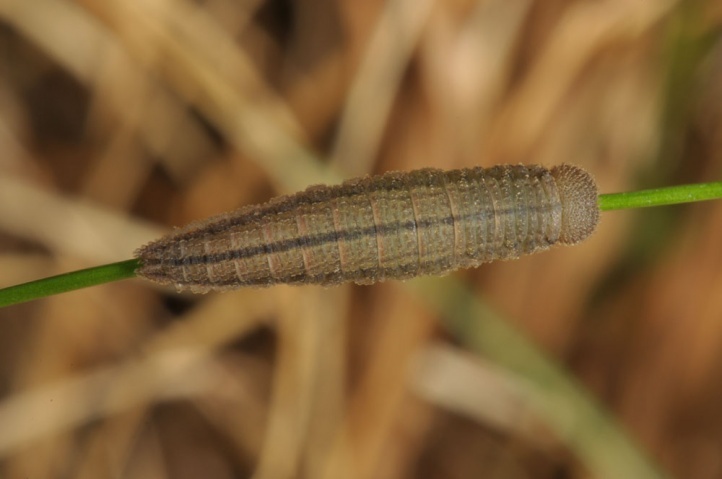 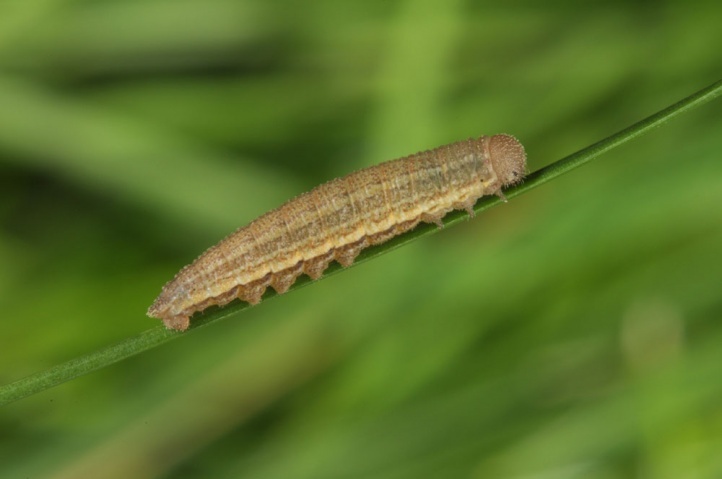 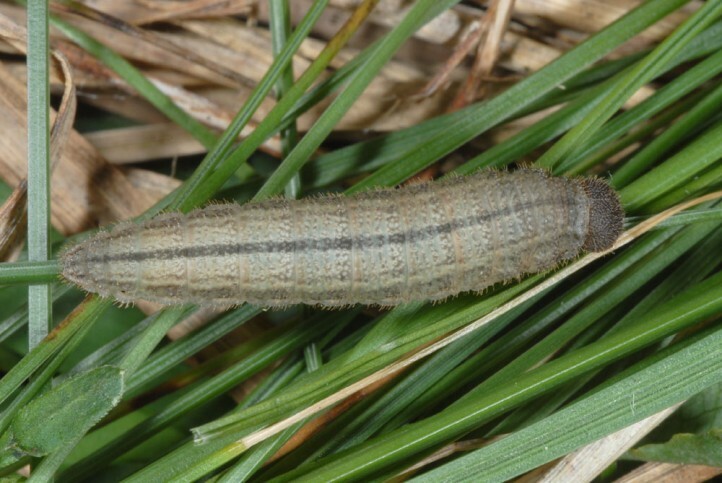 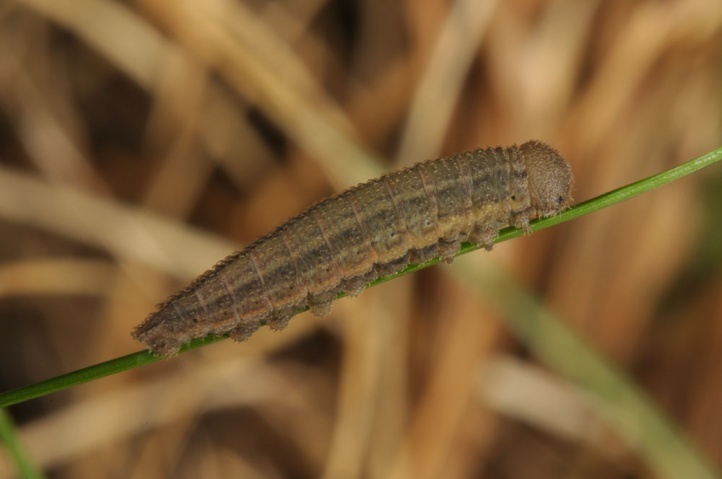 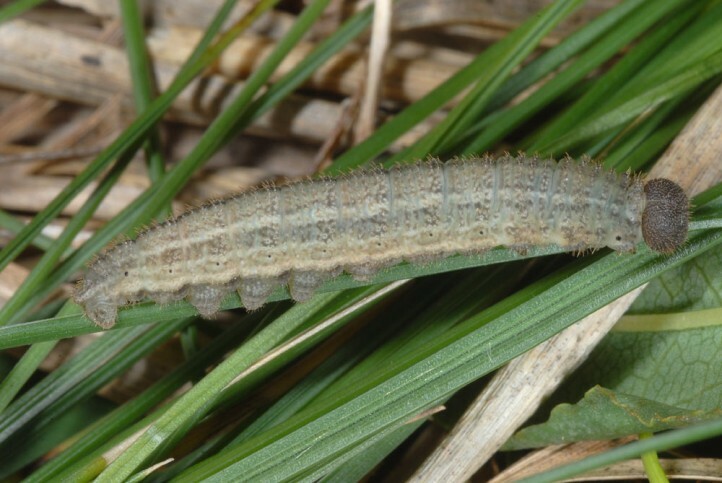 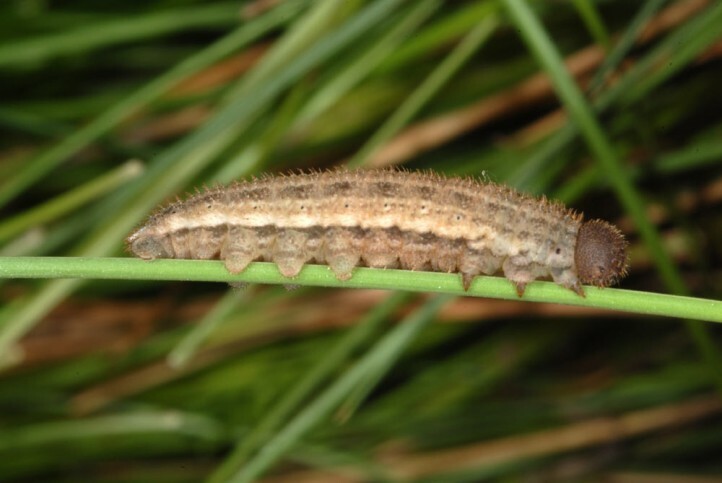 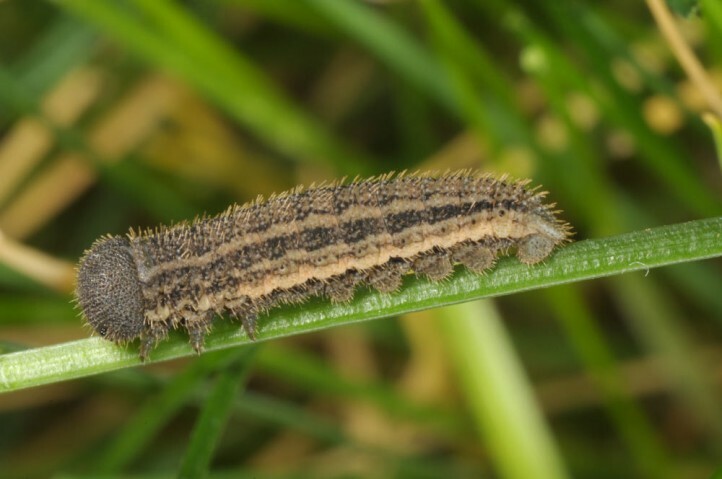 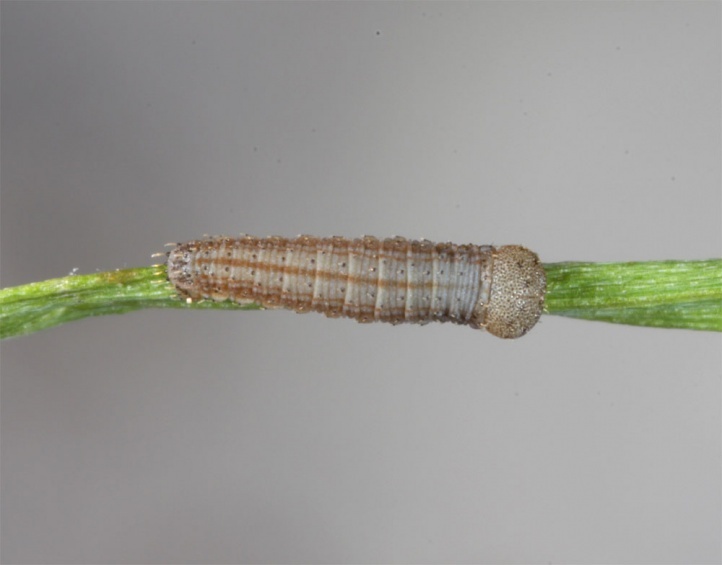 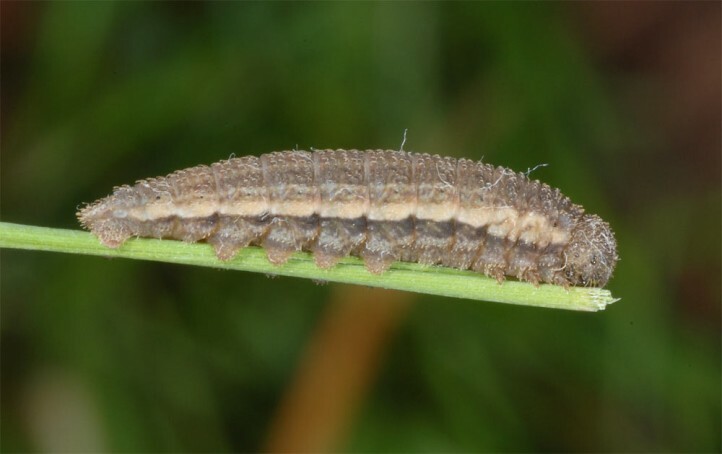 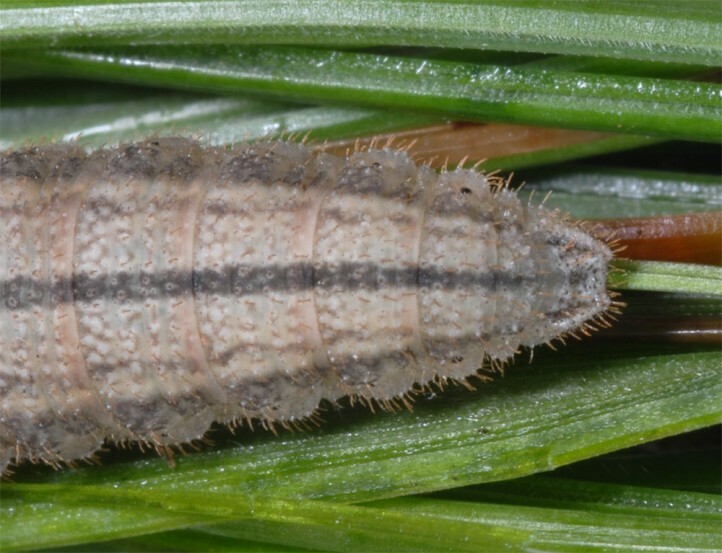 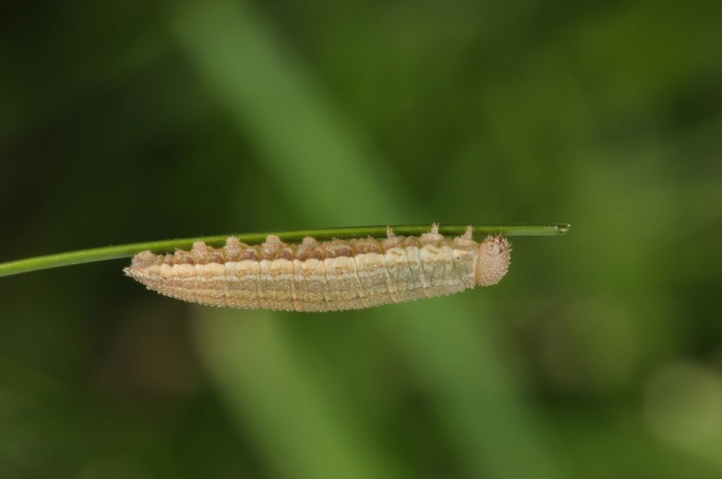 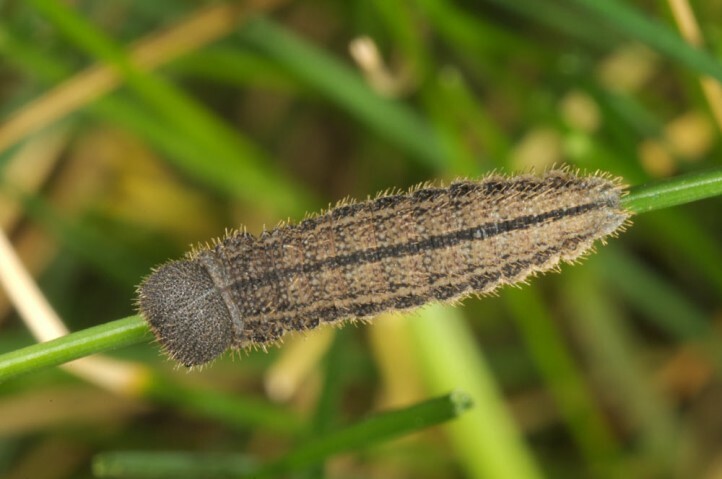 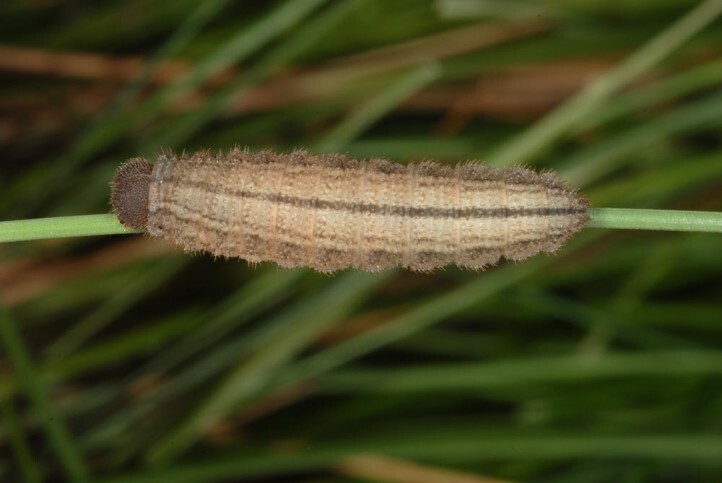 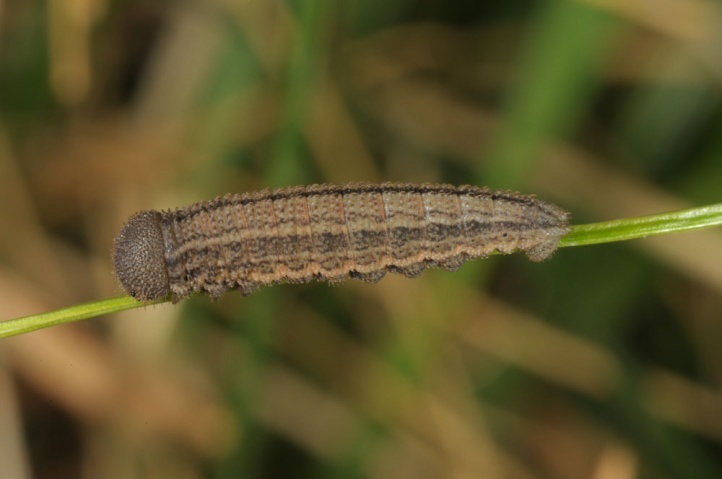 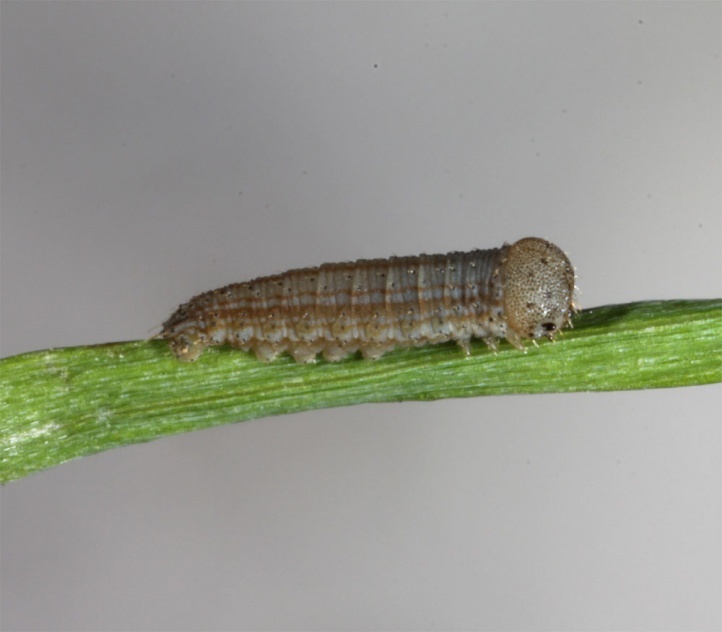 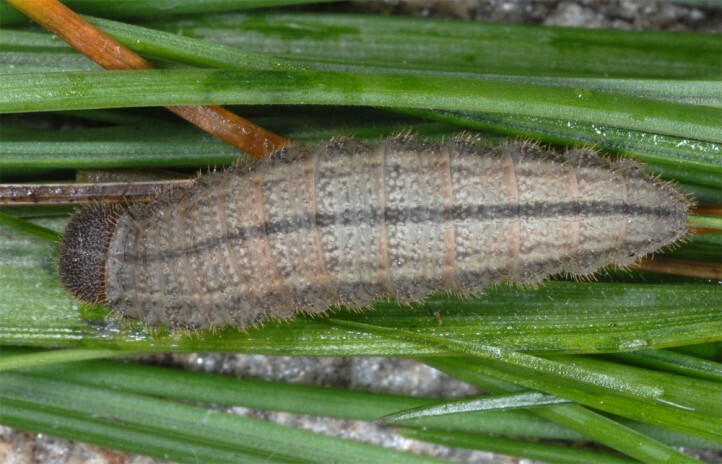 The caterpillar lives on grasses (mainly Poaceae and especially Festuca species, probably mostly Festuca graeca and at the highest altitudes Festuca olympica at Mount Olympus. 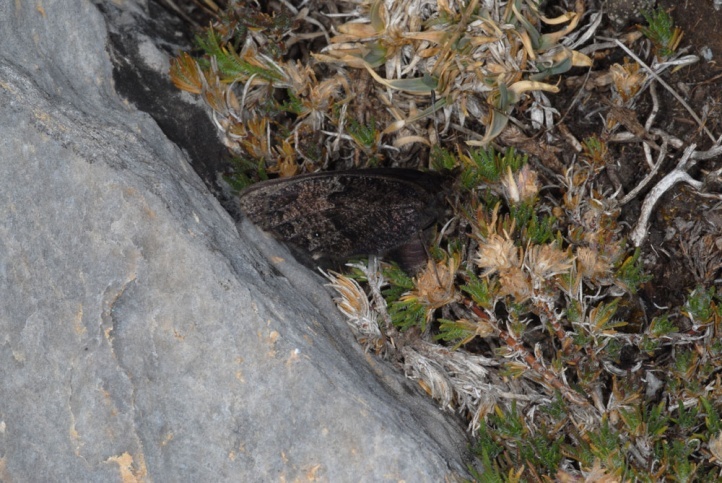 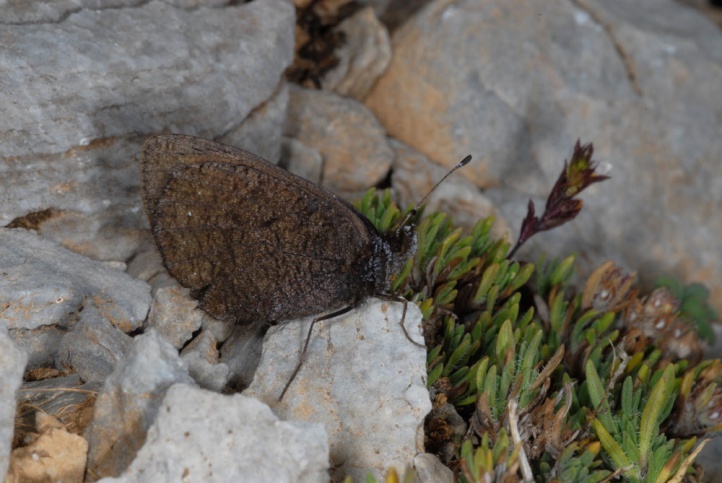 Erebia melas inhabits mostly stony and particularly rocky slopes and cliffs on limestone (rarely other substrate) between 1200 and 2900m above sea level. 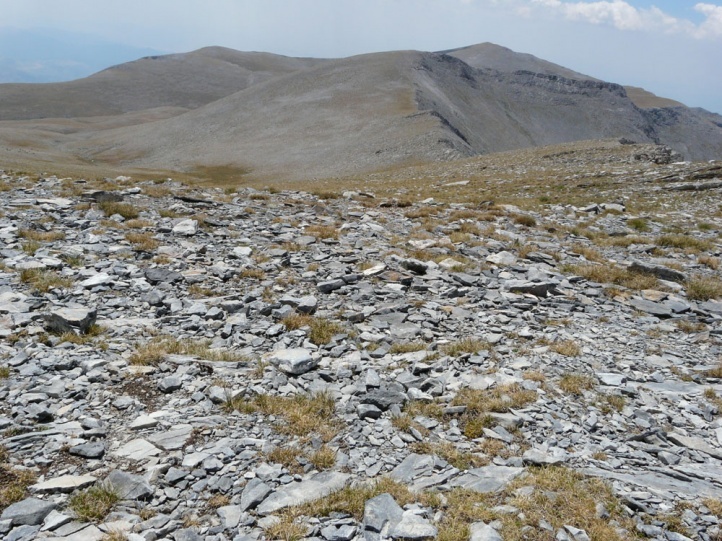 On Mount Olympus, I found Erebia melas only above 1800m asl (maximum here from 2100 to 2700m above sea level), as well as in the Mount Phalakro area (both Northern Greece). 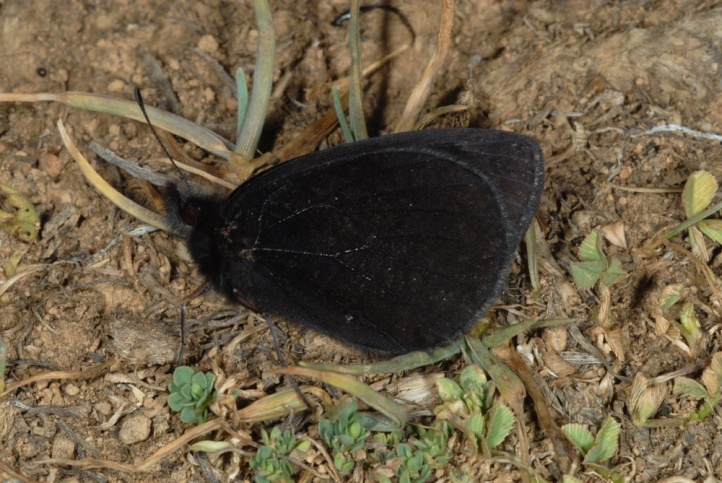 Typical accompanying species include Hadena caesia and Hadena vulcanica urumovi. 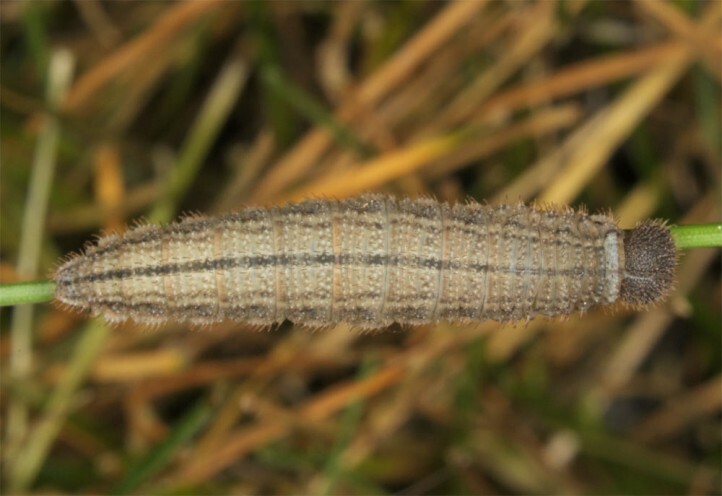 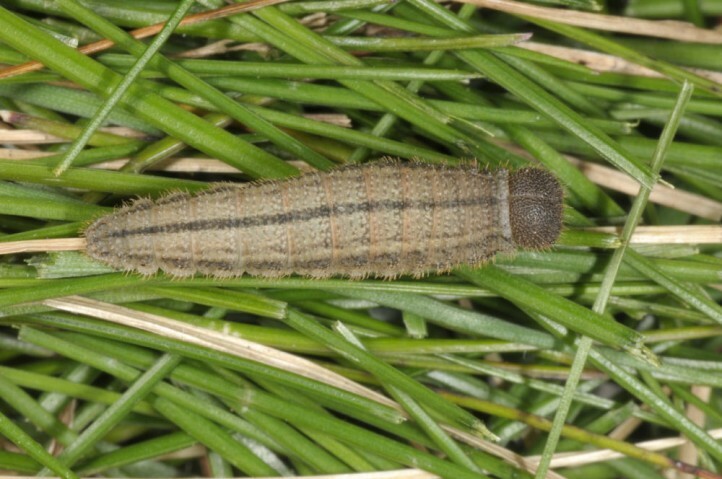 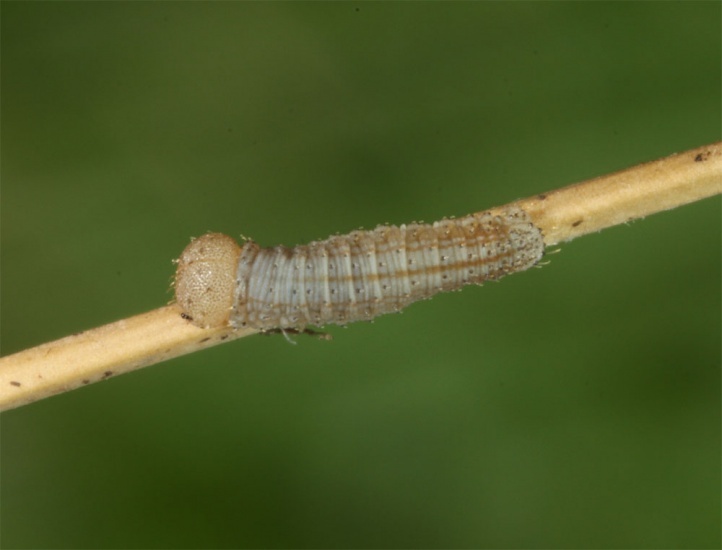 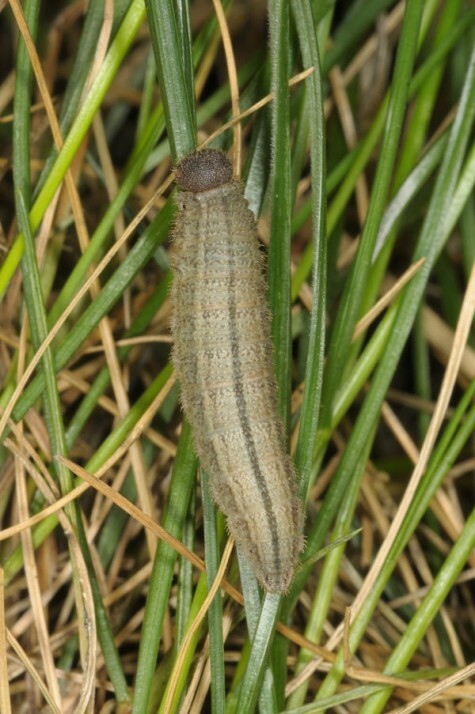 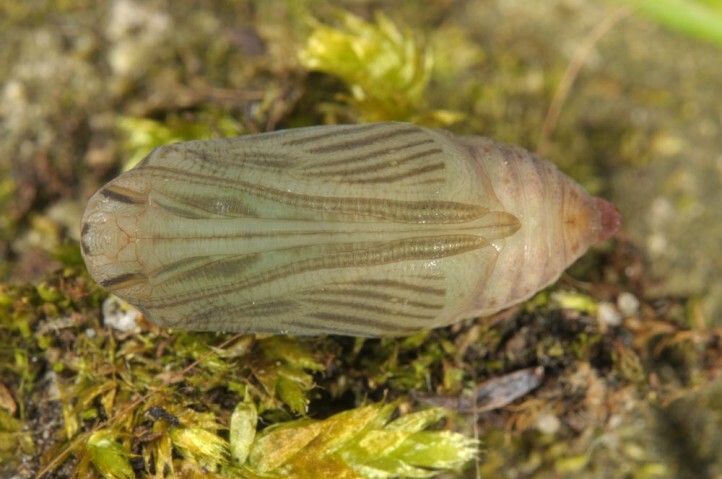 The caterpillar overwinters and is likely to be mature in altitudes around 2100m above sea level in mid or late June. 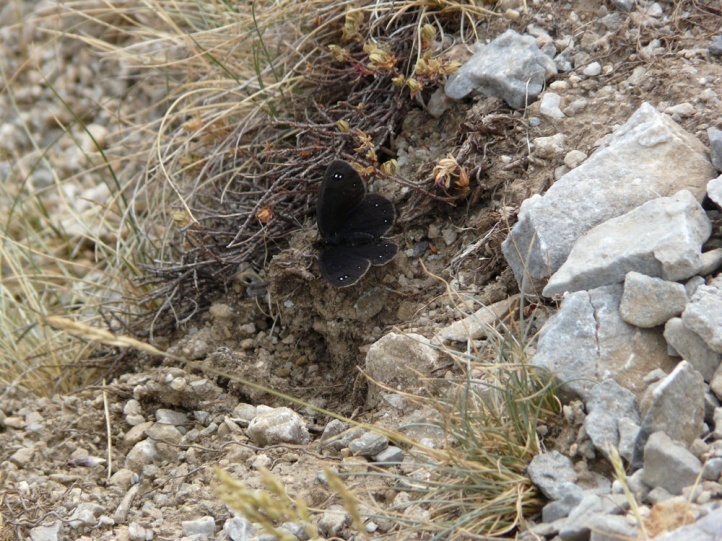 The adults fly from late July to late September. 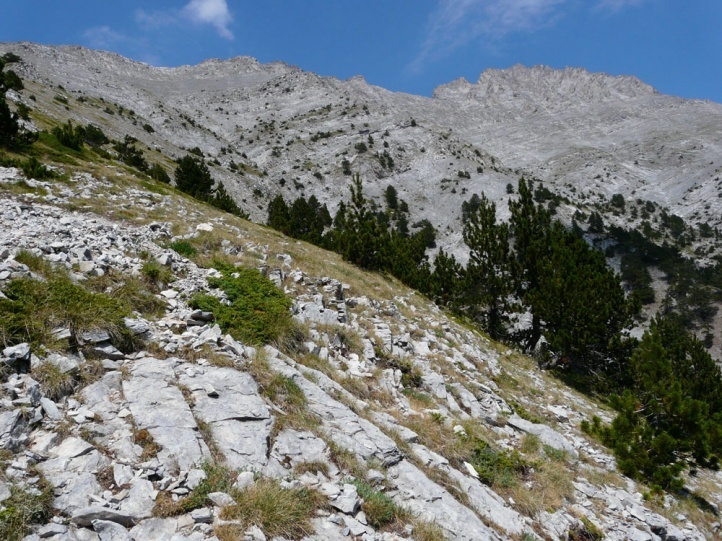 On Mount Olympus, the maximum is in average years from mid- to late August, but in 2012 already at the beginning of the month. 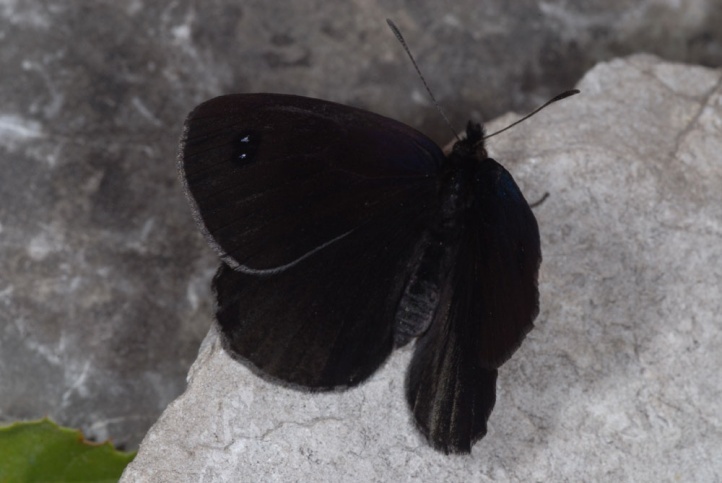 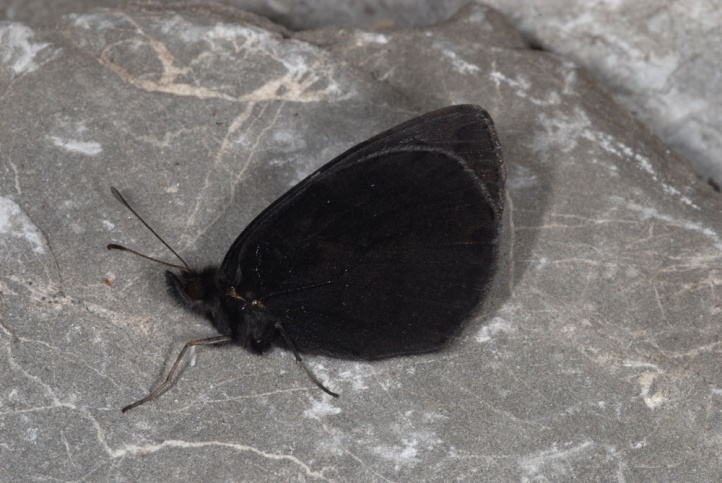 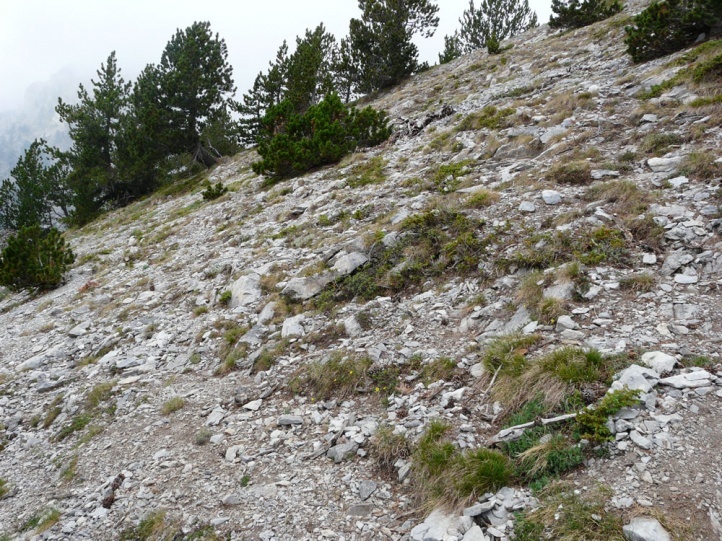 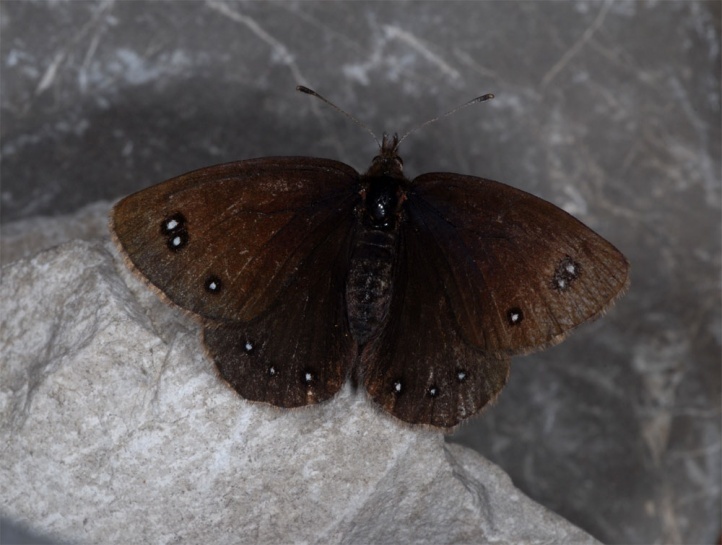 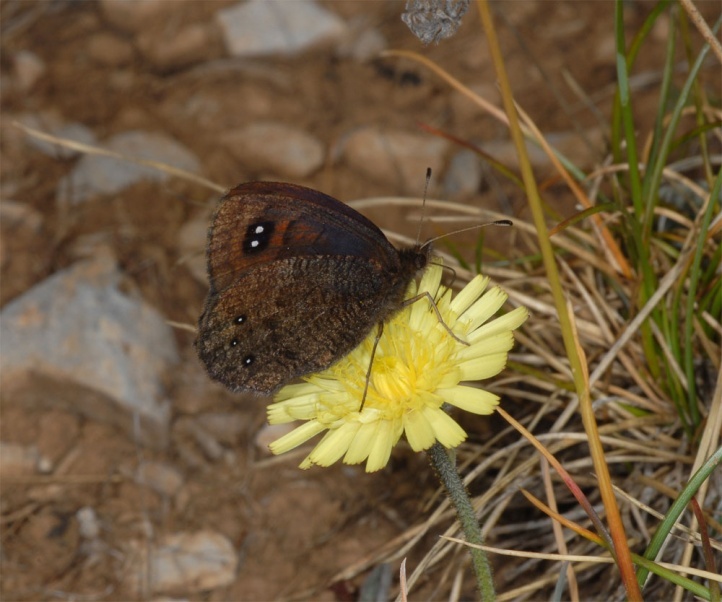 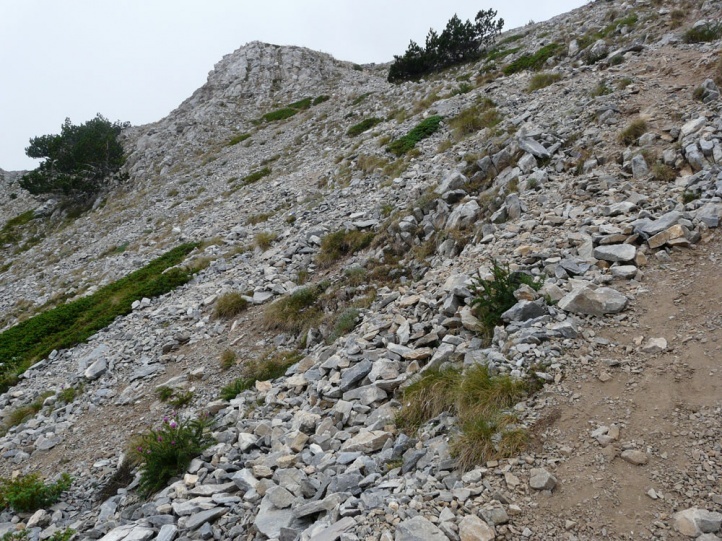 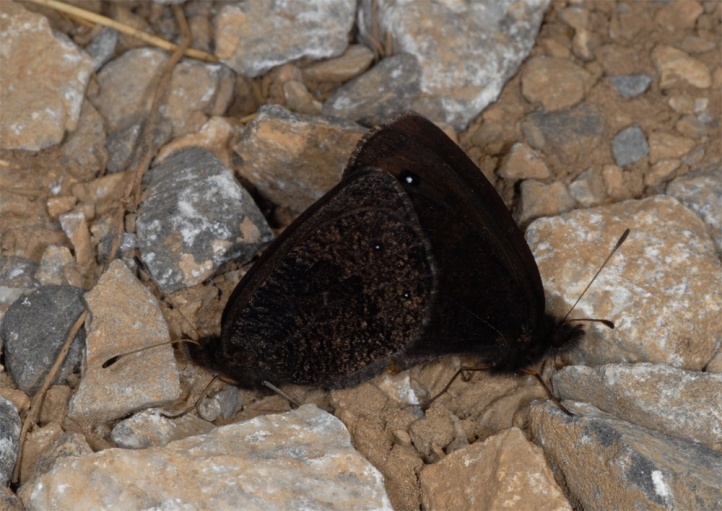 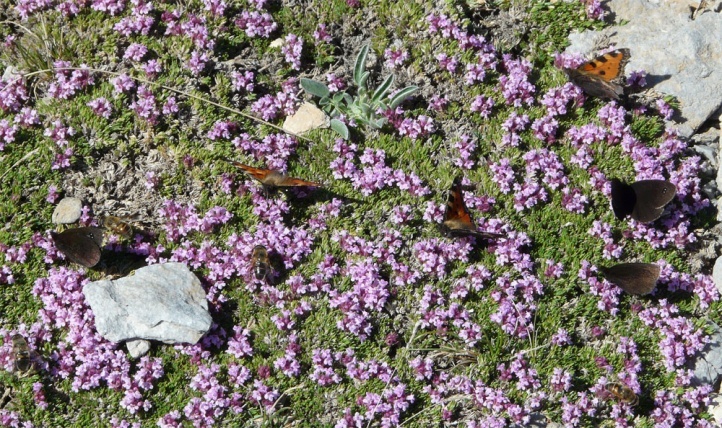 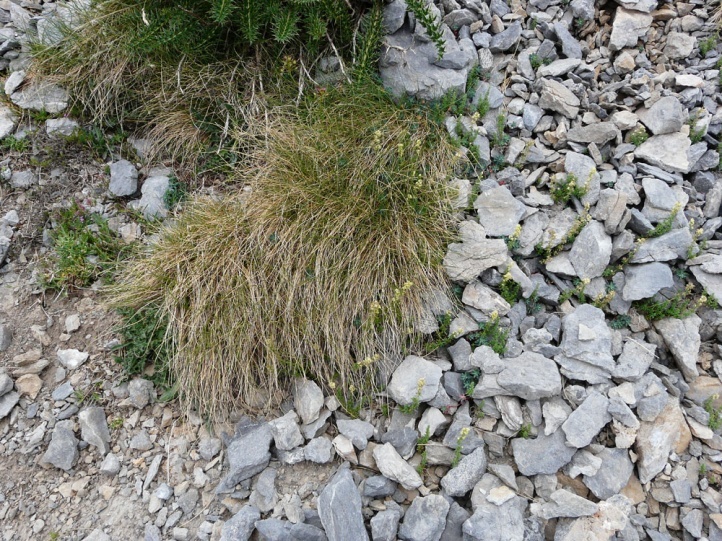 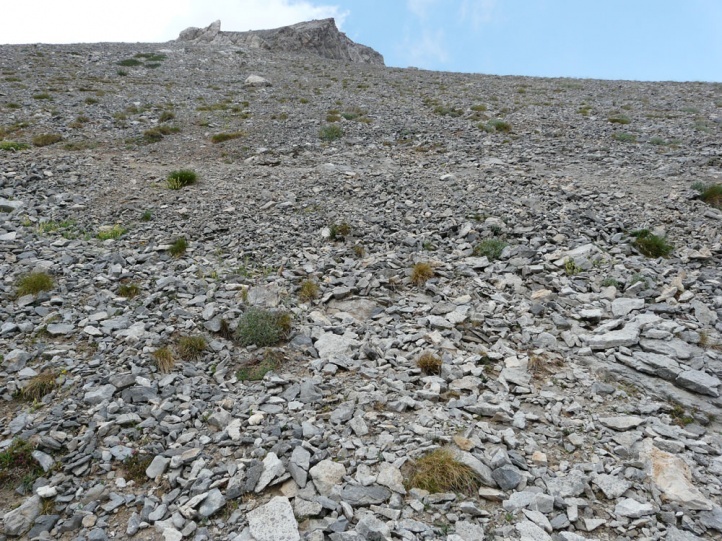 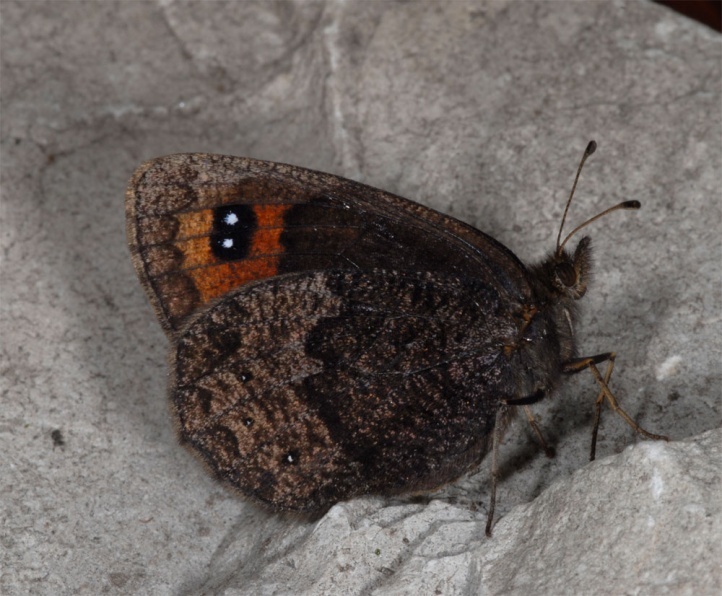 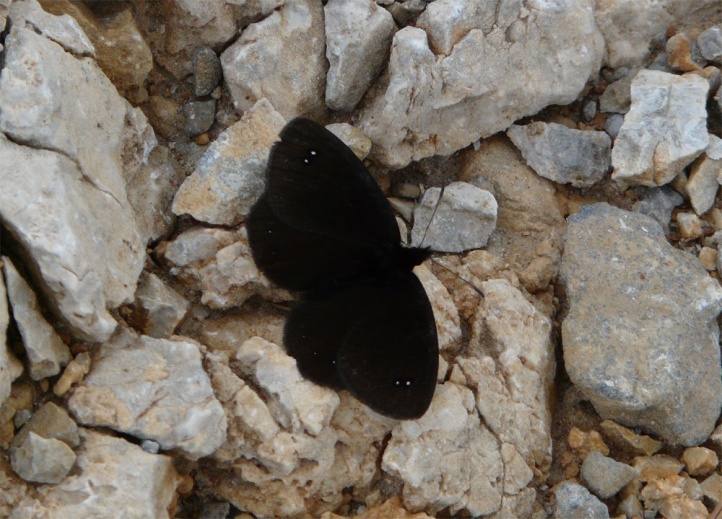 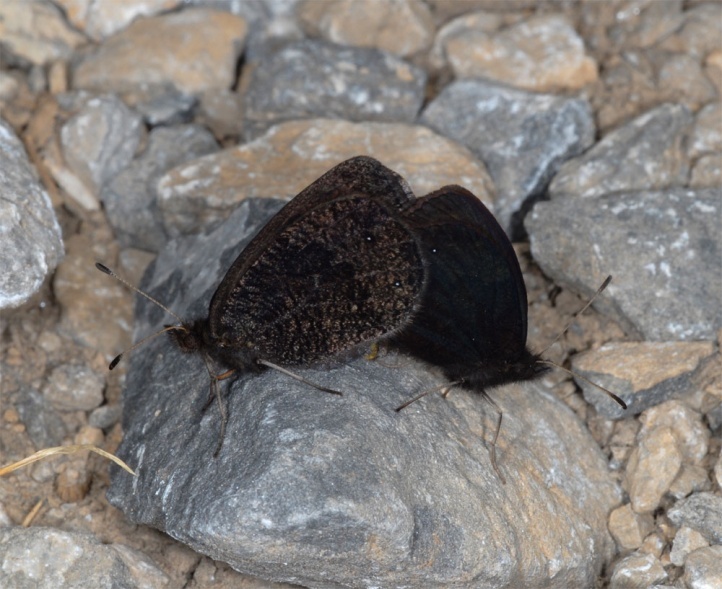 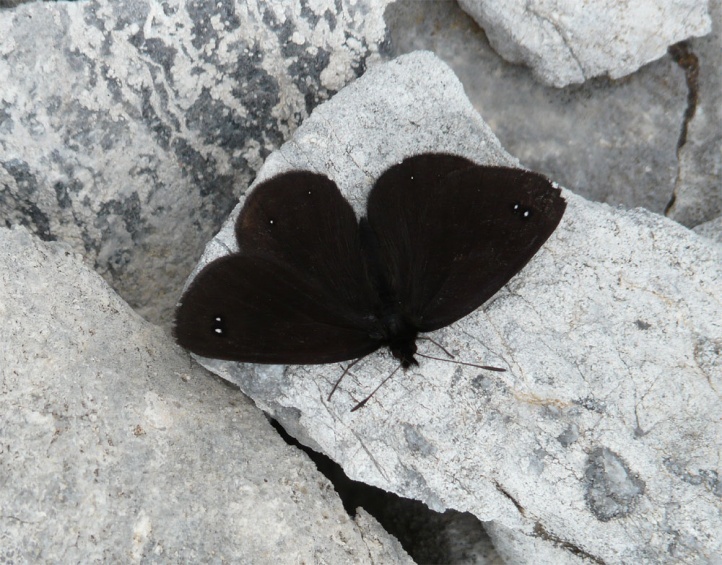 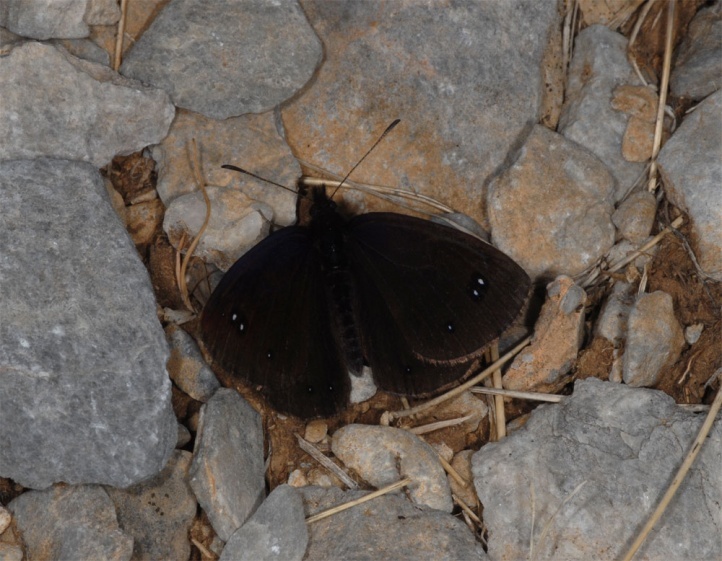 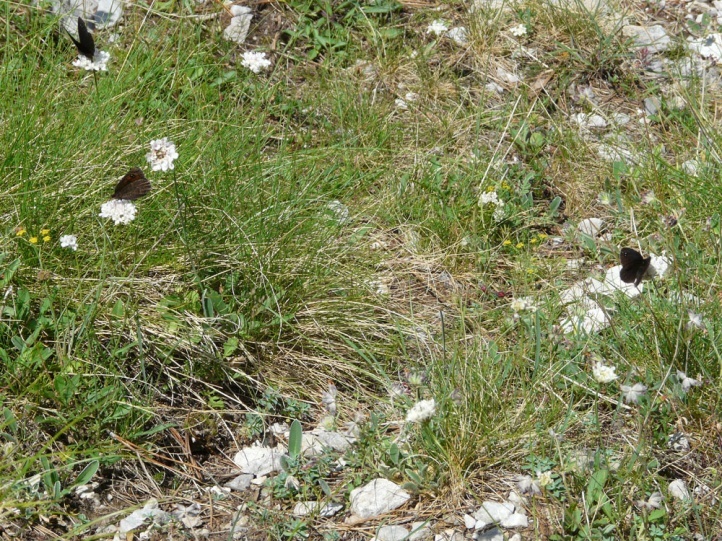 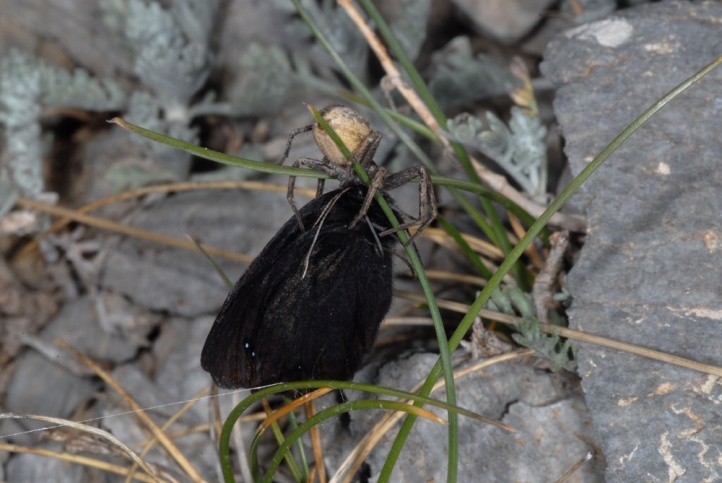 The butterflies are very common on Mount Olympus, since large-scale optimal habitats (Festuca-rich debris areas and rocky slopes) are present in large numbers. 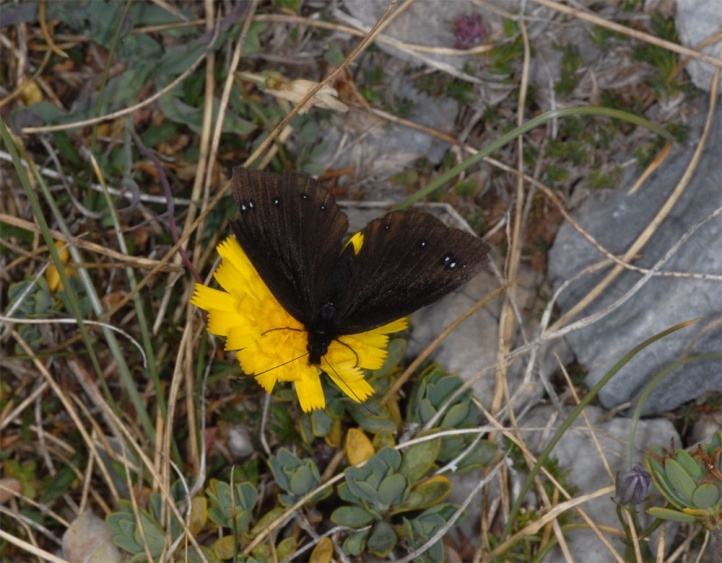 The adults feed among others on Thymus, Scabiosa and yellow Asteraceae. 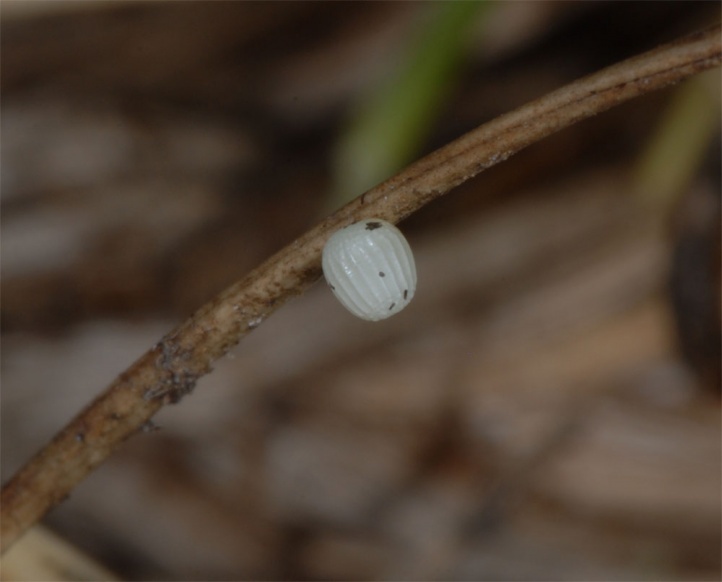 Eggs are laid singly on the Festuca-tussocks at ground-near sections, but often a lot away from these on other plant parts. 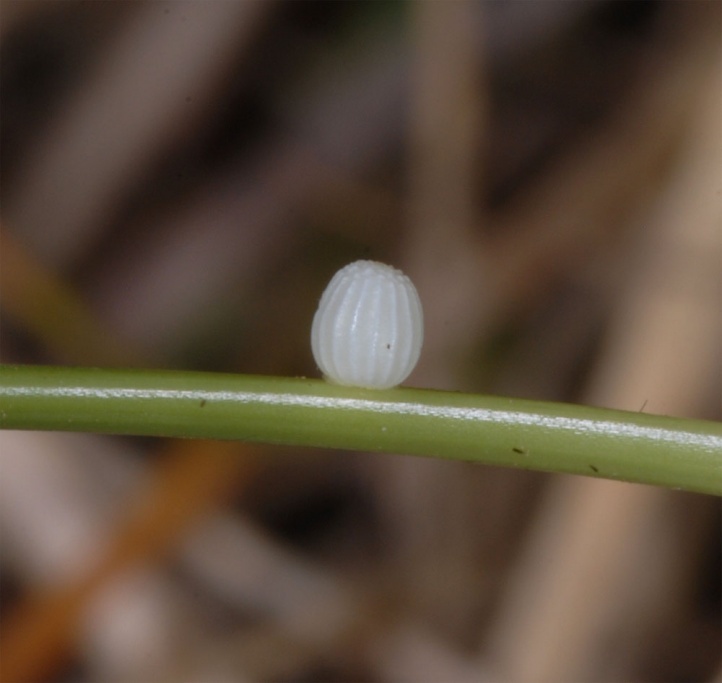 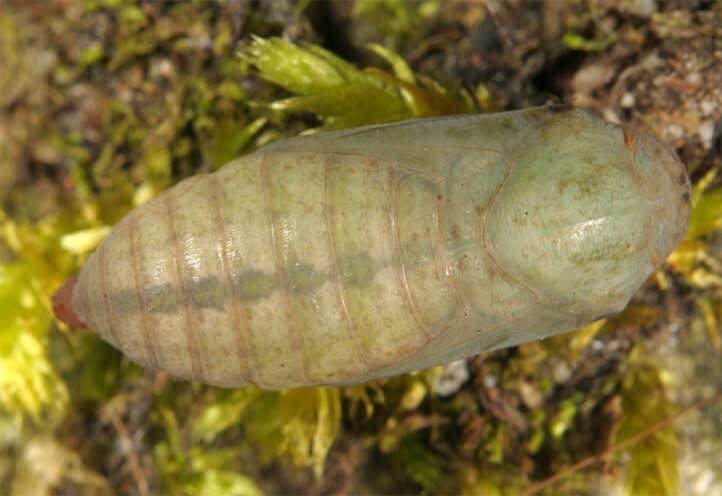 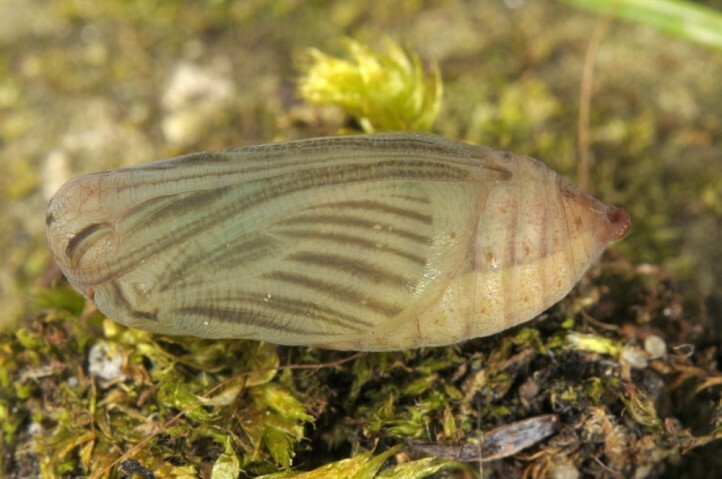 Presumably, the eggs are also laid on stones, but this was not observed by me, unlike the other two substrates. 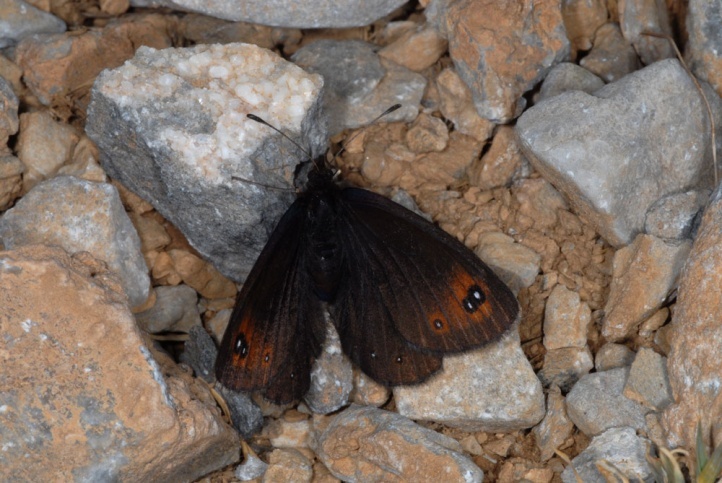 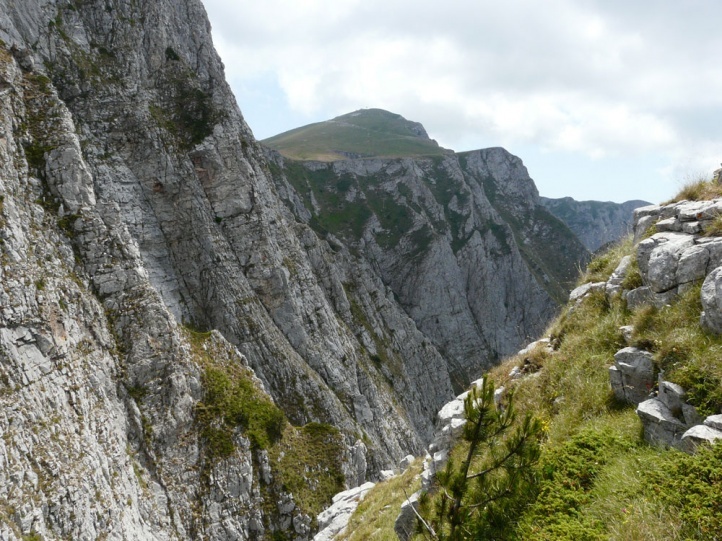 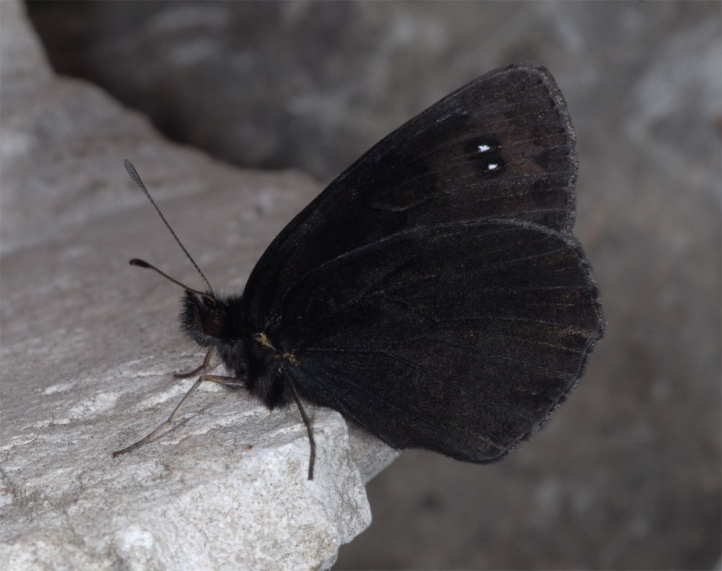 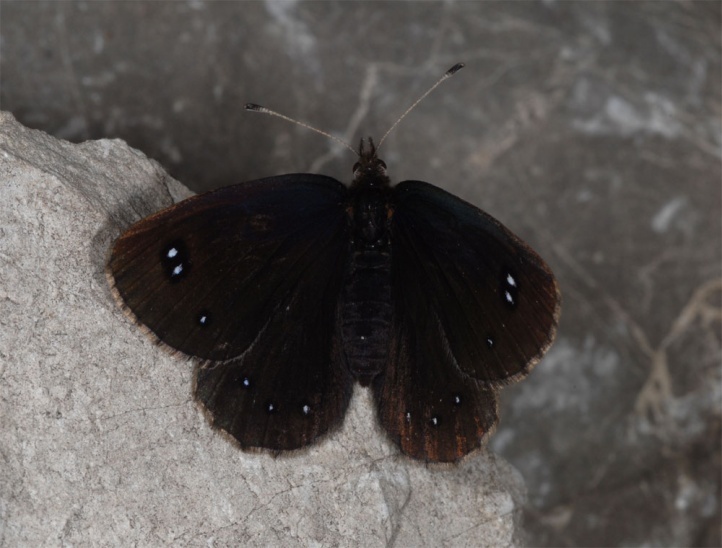 Erebia melas can be threatened at lower altitudes by overgrazing on the one hand, on the other hand by reforestation and overbuilding, but is still widespread in Northern Greece in the higher limestone mountains. 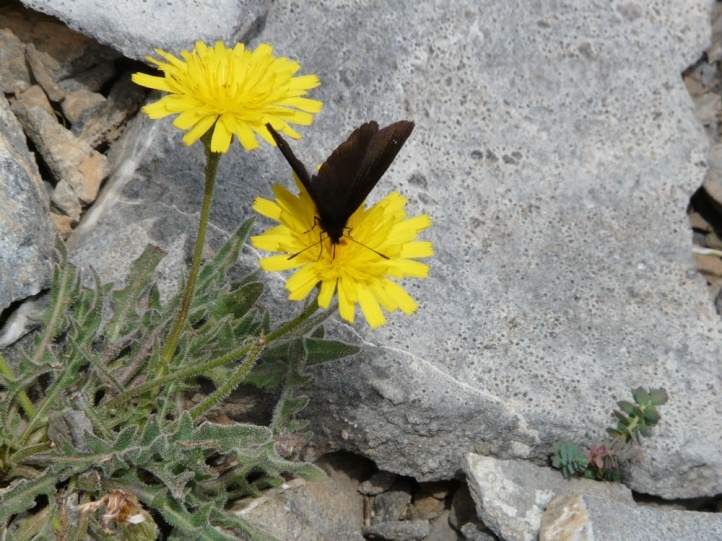 The Southeastern European endemic is found only in the Balkans from Slovenia to northern and Central Greece, as well as locally in Bulgaria and Romania.